Anchorage is the summer - this is the time when you’ll have the nicest weather and the warmest temperatures, maybe not warm enough to go swimming, but pleasant weather for sightseeing. There are nearly 500 flower beds in bloom in Anchorage during the summer. Glacier cruises are popular during the summer months. The spring and fall are a bit colder, but there are few crowds and room rates are lower. Spring is the whale watching season and begins as early as April 1. Winter is definitely cold in Anchorage, but for outdoor winter enthusiasts, opportunities abound and visitors will be treated to the Northern Lights. January is the coldest month of the year in Anchorage with an average high temperature of 23°F (-5°C). Average low temperatures sink to a frigid 11°F (-12°C). Though it isn’t the month with the highest amount of snowfall, freezing temperatures retain a lot of the snow from December, making January a fantastic month of winter sports in general. Anchorage Weather in February: The temperatures remain quite cold in February as the winter months continue in Anchorage. High temperatures will peak at an average of 27°F (-3°C) but low temperatures can sink to a 14°F (-10°C) average. In March, the temperature increases to an average high temperature of 34°F (1°C). Meanwhile, the average low temperature climbs to 19°F (-7°C). 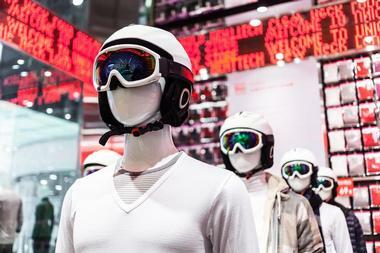 March is the last of the peak months for skiing and snow boarding. April sees the least amount of snowfall out of the year in Anchorage at 4 inches (10 cm). Additionally, April also has the lowest precipitation rate annually with just under half an inch (12 mm) on average. 44°F (7°C) is the average high temperature to be expected while 29°F (-2°C) is the average low temperature. It’s important to note that Alaska doesn’t have a spring season. Rather, there is a breakup season wherein the ice begins to melt and slush. In May, the continues a steady increase with an average high temperature of 56°F (13°C). All snowfall completely stops in May resulting in the melting of bodies of water and the slushing of snow. As such, winter sports and activities come to an end in May and the salmon season begins. Anchorage Weather in June: The breakup season continues in June and the temperature continues to rise. The average high temperature reaches 63°F (17°C) this month with Anchorage also experiencing the most amount of sunshine in the entire year - 288 hours. The low temperature will peak at 48°F (9°C). July is the hottest month of the year with an average high temperature of 65°F (19°C). Low temperature in July is at an average of 52°F (11°C). The mild temperatures this month make it the best time of the year to enjoy outdoor activities like hiking and trekking. In August, Anchorage experience the highest precipitation rate of the year with 3 inches (83 mm) of average rainfall. Temperatures decrease slightly with the average high and average low temperatures ranging between 64°F (18°C) and 50°F (10°C). Anchorage Weather in September: The last of the breakup months is Anchorage is September. During this month, the temperature continues its downward trend to an average high temperature of 55°F (13°C). Low temperature is 42°F (6°C). In October, the winter season starts again with the temperature levels dropping quickly to an average high of 40°F (5°C). The average low temperature is a freezing 29°F (-2°C). Snow starts to blanket the city with 8 inches (20 cm) to be expected. November sees temperatures dropping even further as winter picks up. Snowfall increases to 13 inches (33 cm) while the average low temperatures sink to 17°F (-9°C). High temperatures average at 28°F (-2°C). Anchorage Weather in December: The month of December receives the highest amount of snowfall out of the entire year with a whopping average of 17 inches (43 cm). Additionally, December receives the least amount of sunshine in the year with just 49 hours of light to be expected. The average high temperature is 25°F (-4°C), while the average low temperature is 13°F (-10°C). 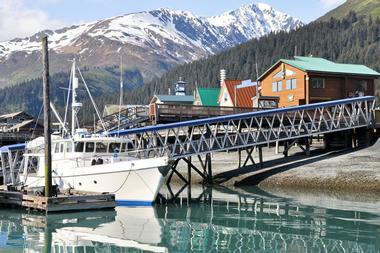 Arguably the best time to visit Alaska is during the summer months of June through August. These months also receive the most sunshine out of the year and bring warmer temperatures making outdoor activities more enjoyable. For hiking or trekking trips to Denali National Park, the best time to come is during July. To enjoy the best of Alaska’s salmon fishing trips and to catch the salmon run, it’s ideal to plan a visit between late May until August. Skiing, snow boarding and other winter sports are best from December through March. Most people arrive in Anchorage by airplane. The Ted Stevens Anchorage International Airport is the main airport and Alaska Airlines is the major airline in and out of this airport. 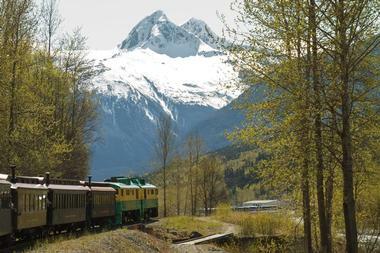 The Alaska Railroad runs from Anchorage northward to Fairbanks, Denali National Park, and Talkeetna to the north; and southward to Seward and Whittier. By car, there is only one road into Anchorage and it is called the Glenn Highway: it connects to the Alaska Highway about 300 miles from Anchorage. Alaska/Yukon Trails is a service that offers vans and minibuses from Anchorage to various destinations such as Fairbanks, Denali National Park, and Talkeetna. One way to get from the Ted Stevens Anchorage International Airport into downtown Anchorage is the Municipality of Anchorage’s People Mover Bus. It stops approximately every 30 minutes at various locations at the airport and takes visitors to downtown and the Dimond Center. There are many car rentals from which to choose: the Rental Car Center is located across from the South Terminal. There are several shuttle companies that take visitors from the airport into downtown: these include the Alaska Shuttle Bus Connections and Private Transportation, Eagle River Shuttle, Shuttleman, and Shuttle Services of Alaska. 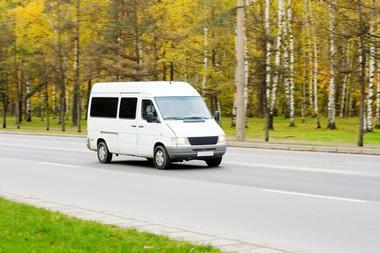 Many local hotels and motels offer shuttle service from the airport. 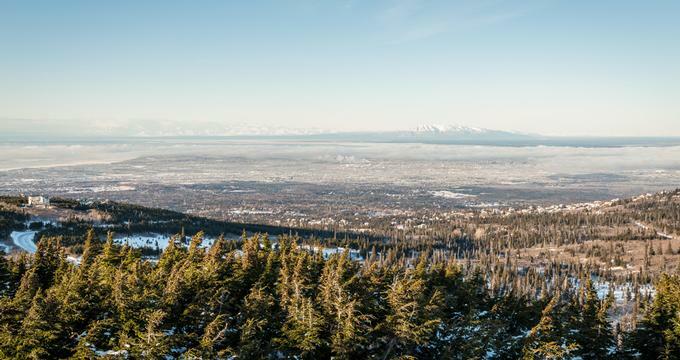 Visiting Anchorage by car is one of the best ways to see the city’s sights as well as the many attractions around Anchorage. The city is spread out and public transportation and taxis can be inconvenient. Another way to get around is by RV: there are several companies that have offices in Anchorage. The People Mover is a form of public transportation in Anchorage for people who prefer not to drive a car. It is well-run and stops at many destinations on its direct routes that originate in the downtown area. Buses usually arrive at stops every 30 minutes and it is an inexpensive way to get around. Anchorage is known for its seafood restaurants that serve Alaska king crab, halibut, Kachemak Bay oysters, and wild Alaska salmon. 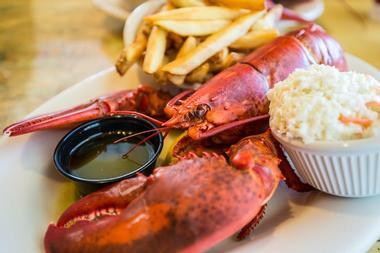 There are fine dining restaurants such as the Glacier BrewHouse, Jack Sprat, the Southside Bistro, and more. Casual dining spots include places like the Bridge Seafood Restaurant, ORSO, the Spenard Roadhouse, and many more. Some of the ethnic cuisines that you can find in Anchorage are Chinese, Himalayan, Indian, Japanese, Korean, Mediterranean, Mexican, and Thai as well as European cuisine such as French, Italian and Scandinavian fare. Anchorage is known for its food stands during the summer months: you can find all kinds of food at these stands, even reindeer sausages! Many of the most interesting shops and galleries are located in the downtown area of Anchorage, so it can be a fun experience to take a shopping tour of this area on foot. There are many shops that offer Alaska Native American arts and crafts. The 4th Avenue Market Place is a good place to start. There is a stage here that features performances and demonstrations during the summer. Other places to find Native American arts and crafts include the Alaska Native Arts Foundation Gallery, the Oomingmak Musk Ox Producers’ Co-operative, and the Rusty Harpoon. There are also antique shops and the International Gallery of Contemporary Art. Anchorage is made up of four distinctive neighborhoods. The first is the Historic Downtown Anchorage neighborhood. Starting in 1915, streets were laid out in a grid pattern which makes it easy for today’s visitors to navigate. Many of the original buildings still stand in this area. The Government Hill Neighborhood is isolated and can only be reached by crossing a bridge. This is where Anchorage’s first neighborhood began and it is the home of the historic Brown’s Point Cottages. The South Addition Neighborhood was created during the 1930s and 1940s to accommodate the booming city. The Fairview Neighborhood was originally built outside of the city limits and was the only area in which African Americans could buy property. 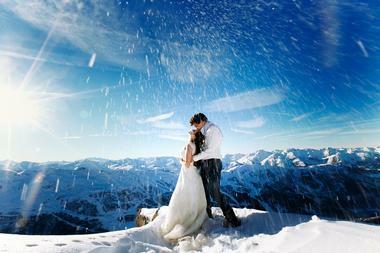 Anchorage is a popular place to get married during the pleasant summer months. A marriage license can be obtained at the Bureau of Vital Statistics on C Street. The Hilltop Ski Area is a great venue for a wedding with its stunning views: this is a modern chalet style lodge that includes a large outdoor patio in a picturesque wooded setting. In the downtown area the Historic Anchorage Hotel is a charming boutique hotel that is perfect for weddings and receptions. Other hotel venues include the Anchorage Marriott Downtown and the Millennium Alaskan Hotel Anchorage. There are many other choices such as golf courses, museums, and clubs. Anchorage offers a wide range of accommodations. These include luxury hotels and resorts, boutique hotels, inns and bed and breakfasts, cabins and cottages, lodges and chalets, motels and more. Some of the high-end luxury properties in Anchorage include the Hotel Alyeska, the Hotel Captain Cook, and the Sheraton Anchorage Hotel and Spa. During the peak summer season expect to pay high room rates. Doing research and booking early might save you some money. A small inn or bed and breakfast is most likely the best choice. Downtown hotels tend to be very expensive while hotels near the airport are generally inexpensive.